Those who 'know' me in real life will confirm I love my little car. 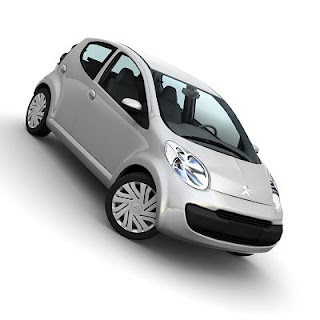 I have a little Citroen C1 (mines the 1.4HDI) and as well as fitting the cliche of small on the outside big (ish) on the inside (does that make it a Tardis??) it's cute to boot! Like everyone at the moment i'm keen on saving a few pennies so did a wee test to see just how economical it was! Even with extortionate fuel costs at the moment (i filled up at £1.27 for a litre of diesel) to 'fill 'er up' cost £43. It's still a fair wodge to plonk down, but it's gotta be done and a lot less than most cars! So after noting mileage before and after I did a grand total of 453 miles on a tank (I reckon it wasn't quite empty so could probably add a couple or ten of miles on top of that!). That all means (using a bit of canny calculation) that I got 63mpg out of her! Add to all that, because it's in the lowest CO2 bracket my road-tax is a measly £35!! So all of this means that my little baby is pretty eco-friendly!